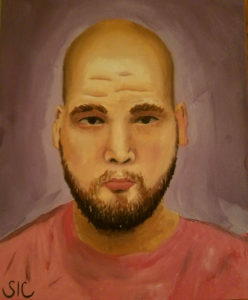 A self portrait, in oils on an 8x10in canvas board, refined linseed oil medium. The first painting I attempted in realism. 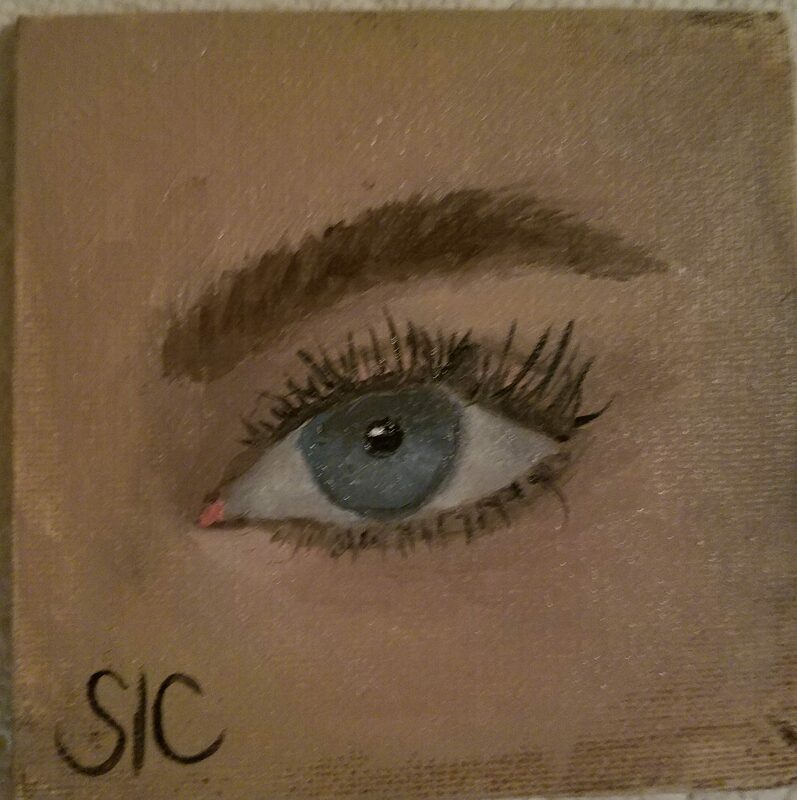 In oils on a 4x4in canvas board, refined linseed oil medium. In oils on two 4x4in canvas boards, refined linseed oil medium. 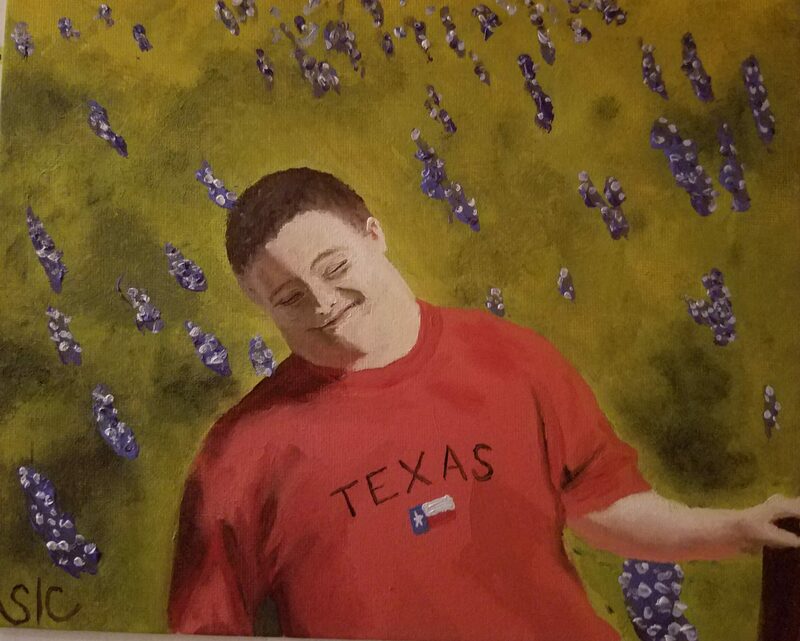 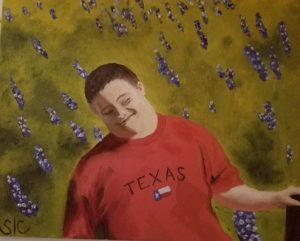 A portrait of my brother, Paul, in a field of bluebonnets. 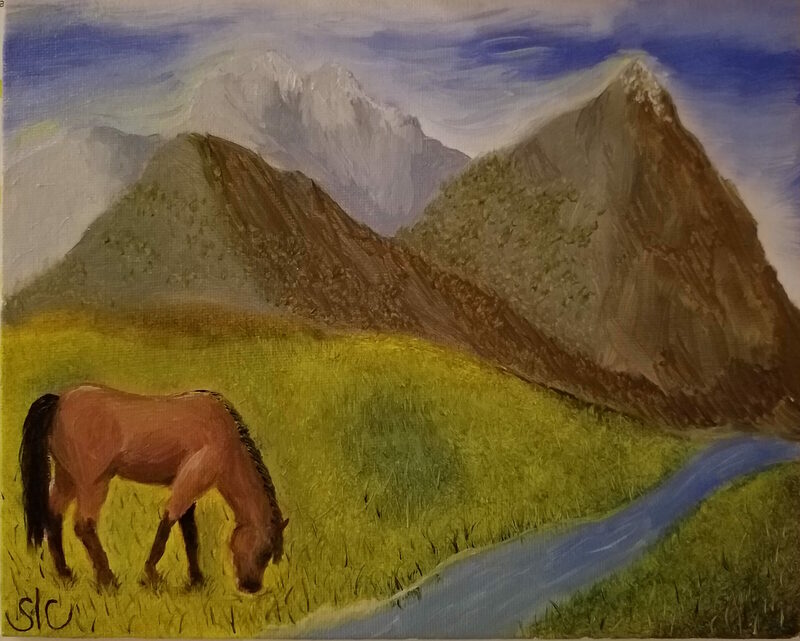 In oils on an 8x10in canvas board, refined linseed oil medium. 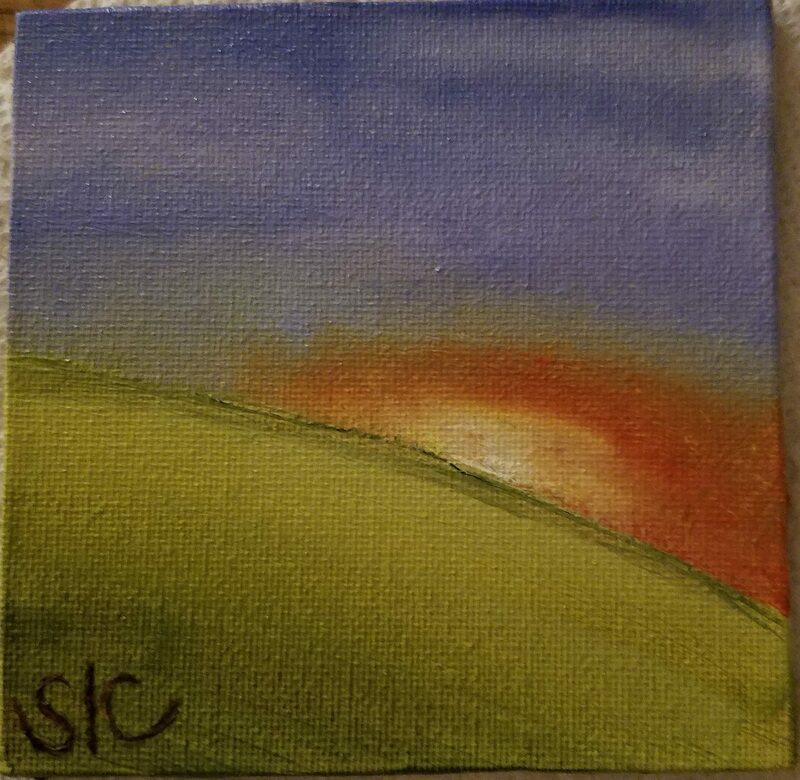 A quick sunset I painted while waiting for my primer to dry on another painting. 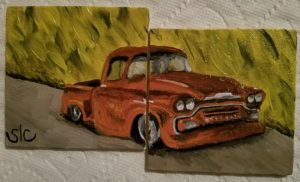 In oils on a 4x4in canvas board, refined linseed oil medium. 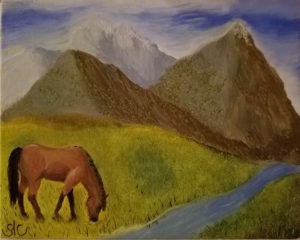 A horse and mountains. In oils on an 8x10in canvas board, refined linseed oil medium. 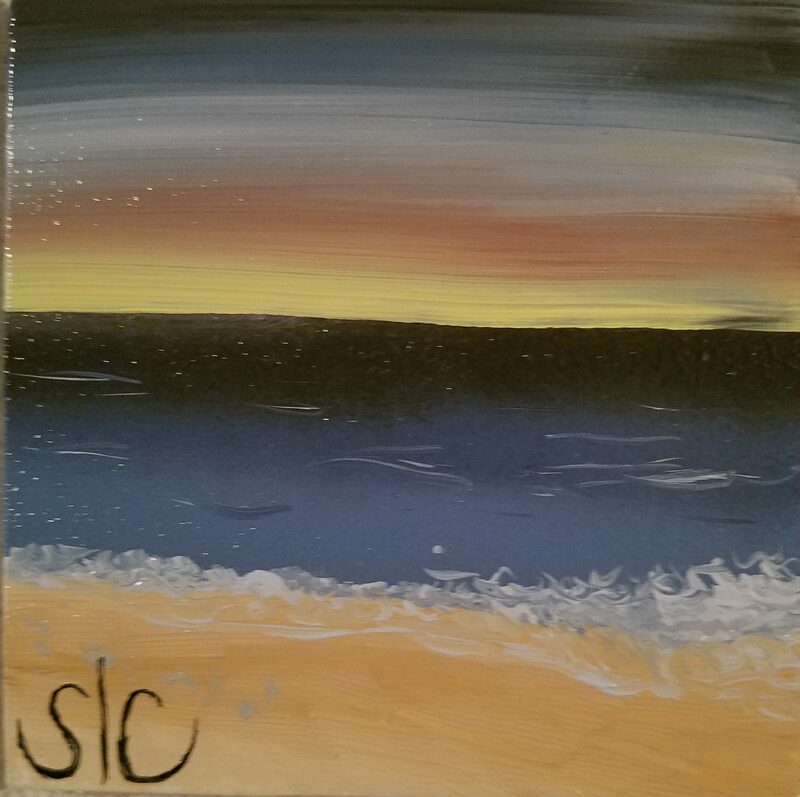 A beach scene. In oils on a 4x4in canvas board, linseed stand oil medium. 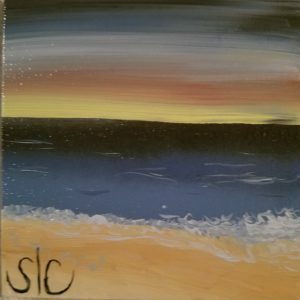 Check back frequently as I’m painting pretty regularly and will be uploading more work as it is completed!